I get a lot of these enquiries from people that want to get into product management. However, I can’t meet everyone for coffee. But I can help everyone by sharing resources that I found helpful in my product management journey. 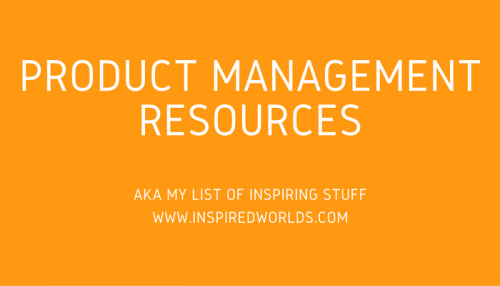 I blog quite a lot about product management here at inspiredworlds.com and have a podcast on mobile product management. If you have any additional resources that you have found helpful, please let me know by contacting me.